Carolina Commercial Systems has been selected as the mechanical contractor for Finch’s Restaurant in Durham, NC. Finch’s opened its doors in 1940. Situated far back on a lot bordering the Capital Boulevard Bridge over Peace Street, the iconic eatery has now been torn down as part of a four-year $36 million NCDOT project to replace that very bridge. Read the News & Observer article. Send us an invitation to bid for your next project. Finch’s is a family restaurant that has been serving Raleigh residents since 1945. The restaurant serves up fresh hot breakfast all day. The popular eatery is located on Peace Street at Capital Boulevard. 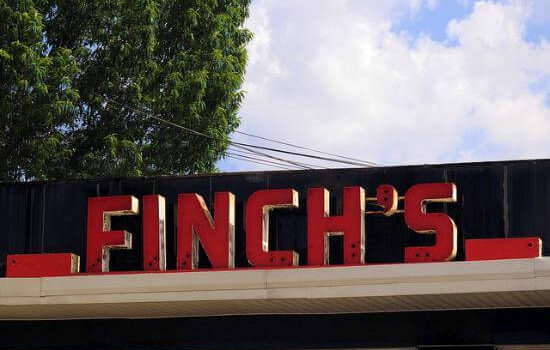 Finch’s has been at its original location since the mid-1940s but will move its business due to the NC DOT enlarging the Capital Boulevard bridge over Peace Street.